Dental implants come in a wide variety of shapes and sizes. Your dentist will work with you to design implants that match the color of your surrounding teeth and fit perfectly in the gap. No one but you and your dentist will know which teeth are implants. Because dental implants are anchored into your jaw with a titanium post that replaces the tooth root, they allow you to bite with more or less the same amount of force you could use with your natural teeth. Other tooth replacement options do not restore nearly as much of your bite force because they sit on top of the gums and aren’t anchored in place. Your teeth help support your facial structure. When you lose teeth, you lose that support, which eventually causes your face to change shape, making you appear older. Dental implants provide similar support for your face as your natural teeth, preventing it from changing shape. Some tooth replacement options, like dentures, can impact your ability to pronounce words correctly. Missing teeth can also alter your speech. Because dental implants feel and function just like natural teeth, they enable you to speak easily and naturally. Artificial teeth still need to be cared for to prevent bacteria from building up in your mouth and causing infections, but the material that dental implants are made of can’t decay. You’ll never have to worry about getting cavities in your dental implants! Taking care of dental implants is easy! Just brush and floss like you normally would. 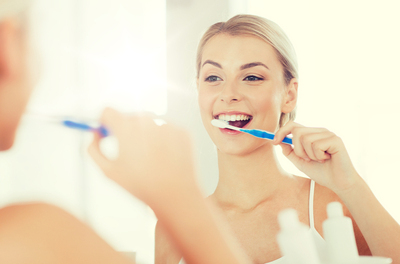 Dental implants don’t require you to buy any special products to clean or care for them. There’s no need for cups, cleansing tablets, adhesive, or special flossers. You just brush and floss, just the way you would with your natural teeth. Other tooth replacement options will need to be repaired or replaced periodically, but dental implants are designed to last for the rest of your life. If you’re in need of a tooth replacement option, you should definitely consider dental implants. 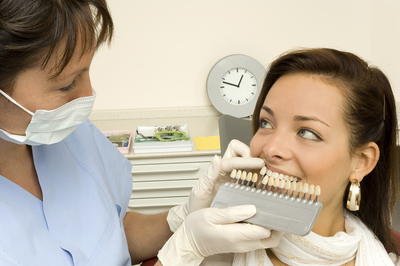 To find out if you’re a good candidate for dental implants, schedule a consultation.